fateme@@ (Dezful, Iran) on 31 January 2017 in People & Portrait. Nice portrait of this shy boy !!! A superb portrait. 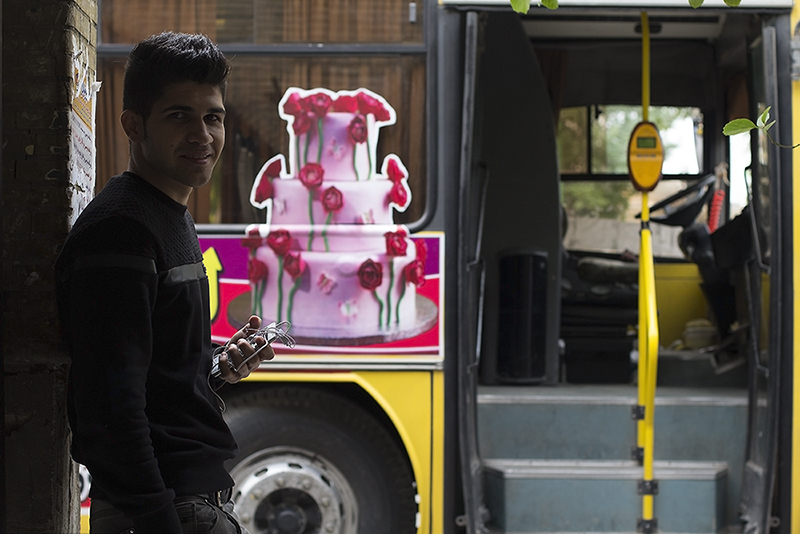 I love the picture of the cake on the bus. A cool portrait and colorful bus. A very charismatic smile you've captured here!! Excellent composition! This handsome smiling man and the wedding cake ... what a gorgeous combination! A sweet smile and nice advertisement on the bus.